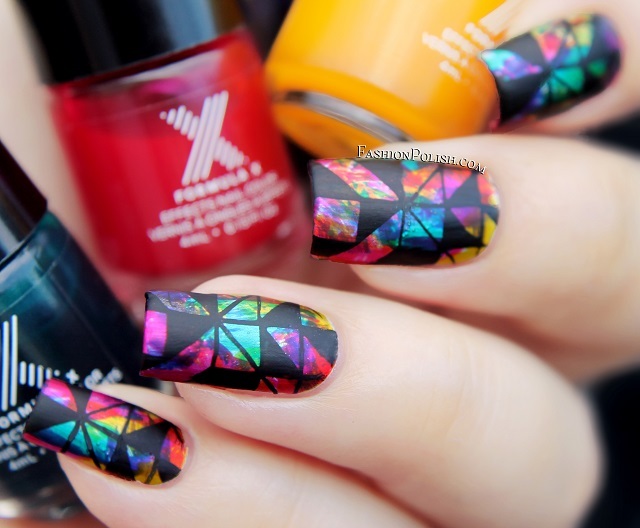 Fashion Polish: Sephora X Infinite Ombre set review and abstract stained glass set nail art! 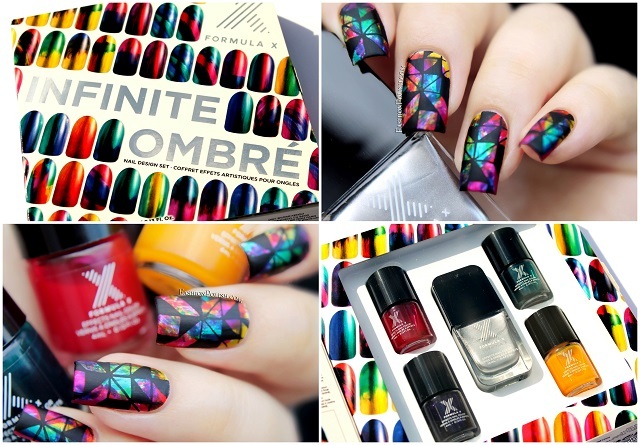 Sephora X Infinite Ombre set review and abstract stained glass set nail art! I have this Summer's Sephora X Infinite Ombre for review today. 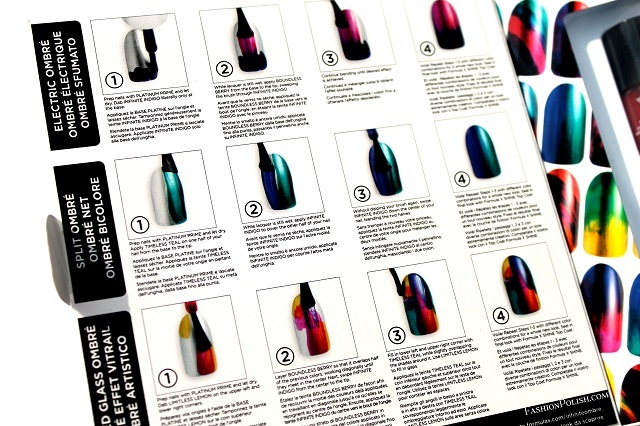 If you haven't heard of this nail design set, Sephora X has jumped into the "sheer tints" bandwagon... With a twist! 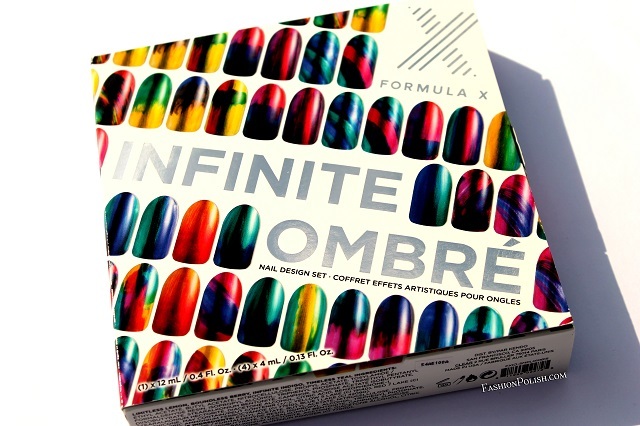 Sephora X Infinite Ombre is a nail design set created to help you achieve easy and colorful summery nail arts. It consists of 5 nail polishes, one full size silver foil (Platinum Prime) and four mini tints ( Limitless Lemon, Boundless Berry, Infinite Indigo and Timeless Teal). Three step-by-step tutorials are included to help you experiment with the kit. Platinum Prime was brushstrokey on its own but once layered with color, it was almost completely smooth. If you're going for a silver/colorful look, make sure to read this post to find out how to completely get rid of brushstrokes beforehand. 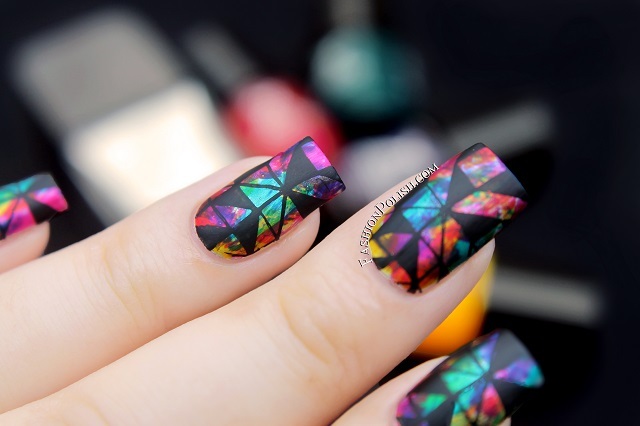 To create this nail art, I started with 2 thin coats of Platinum Prime and proceeded with light touches of color. I decided to go for a "messy" look with small brushstrokes of tints and overlapping areas. Then I added some black stamping with the Moyou Hipster 07 plate and finished with matte topcoat. 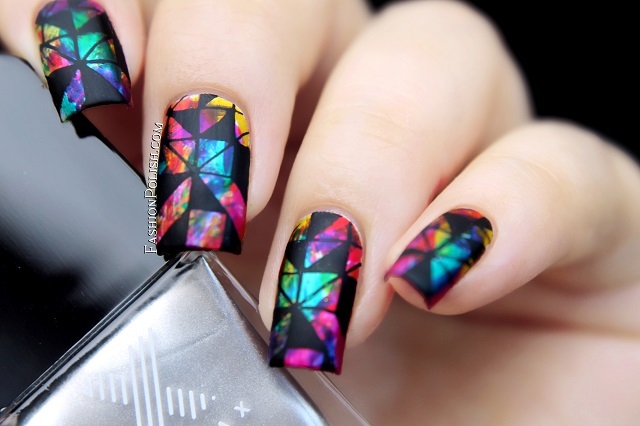 I love this set and the abstract stained glass result. The tints seem more pigmented to me than the regular ones so the colors really POP against the silver foil! 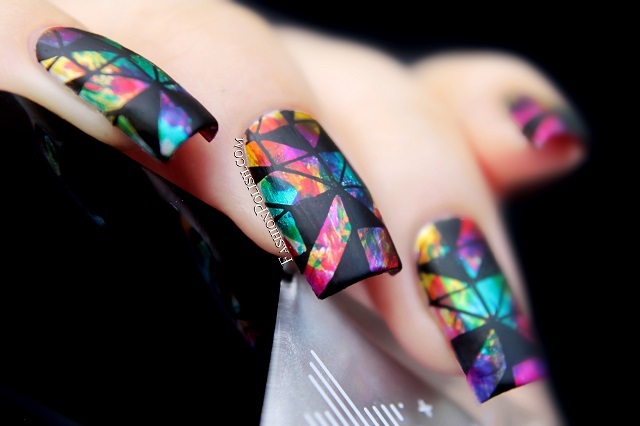 It does allows infinite possibilities (pun intended :D), looks like a fun way to achieve eye catching nail arts and would make a great gift in my opinion. The Sephora X Infinite Ombre set is available online and in Sephora stores and retails for $29.50/25€. 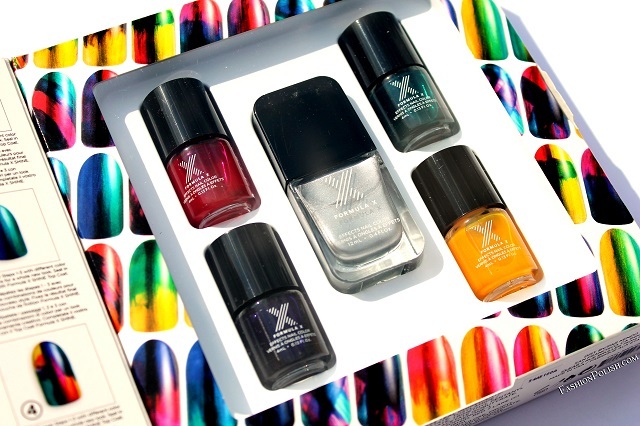 I can't wait to hear your thoughts on the Sephora X Infinite Ombre set. Thanks for looking!